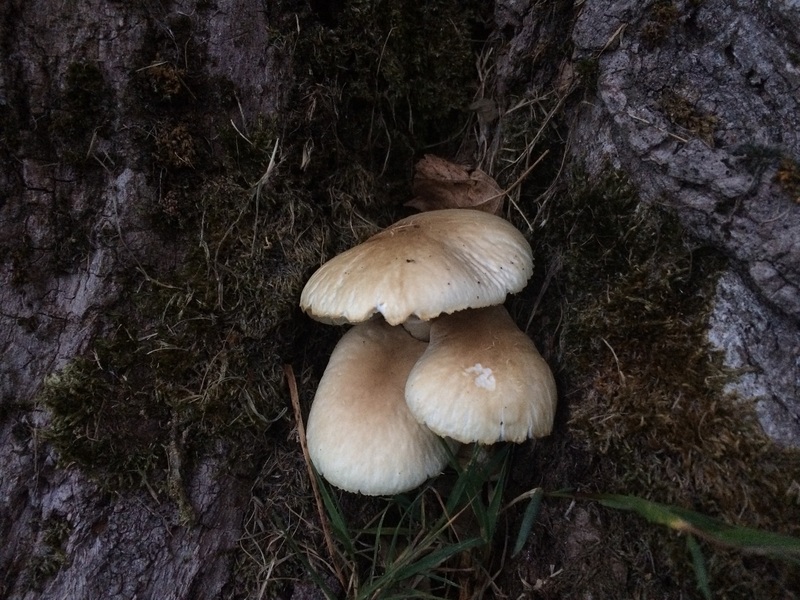 The Poplar Fieldcap, Cyclocybe cylindracea. 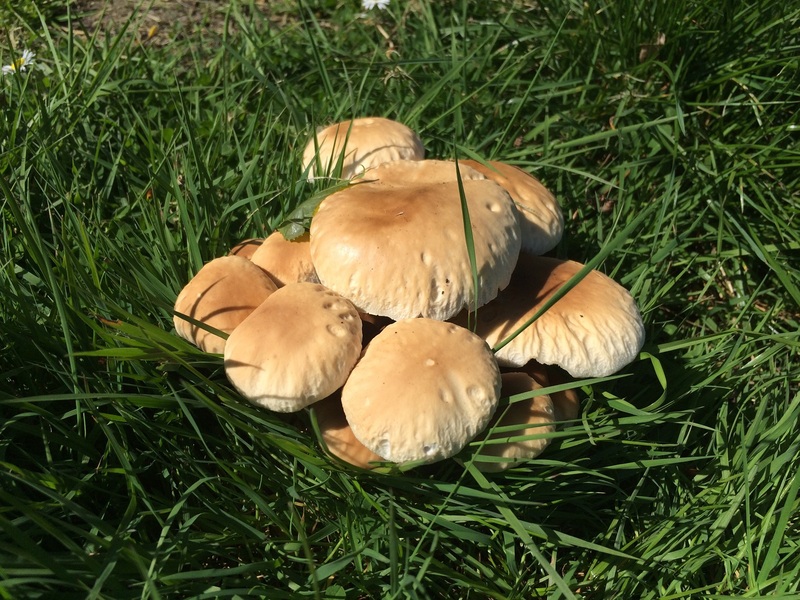 Not very well known in the UK but it’s an excellent edible, often found in large quantities. It’s highly appreciated in other parts of the World. 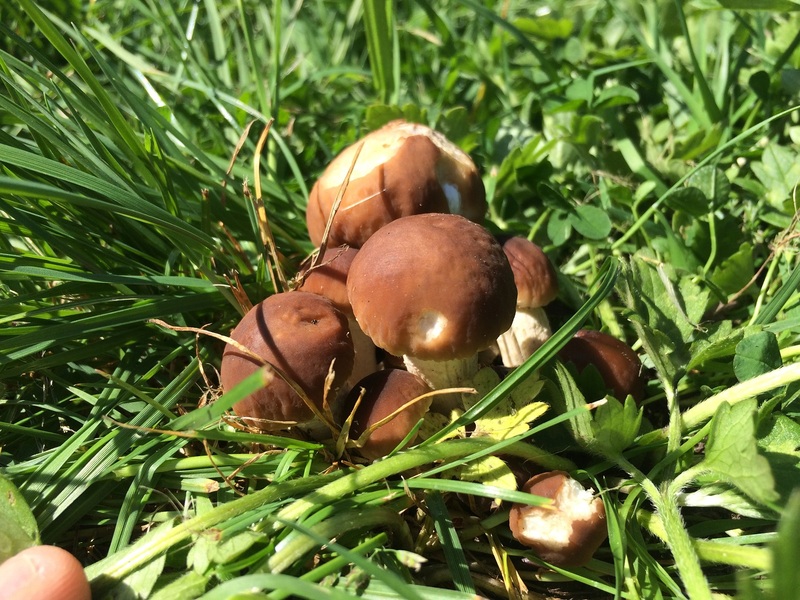 The cap is dark brown when young. 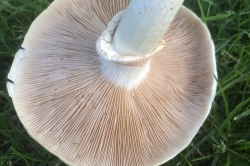 As it grows it becomes light brown to pale cream, slightly darker in the centre. 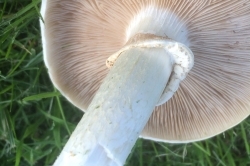 The cap starts round and smooth, becoming flat and wrinkled as it expands, sometimes cracking. 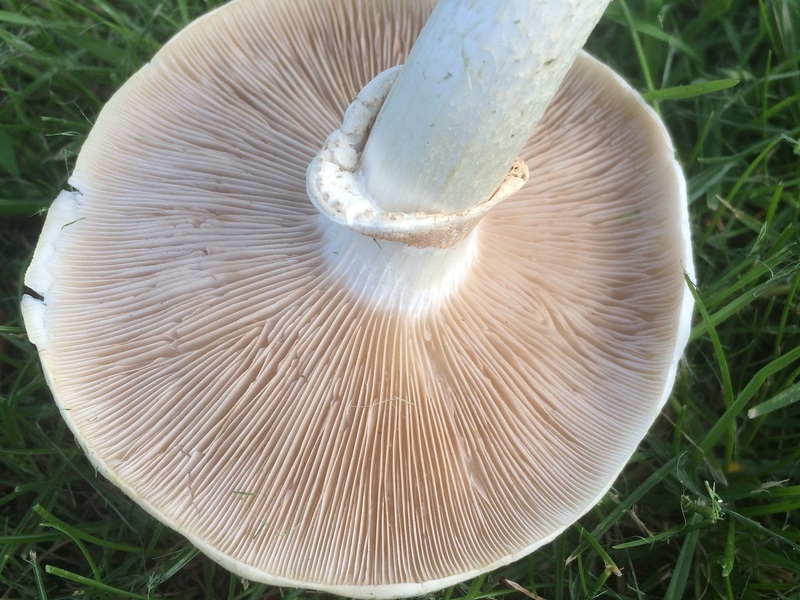 The gills are crowded and join the stem slightly running down along it. 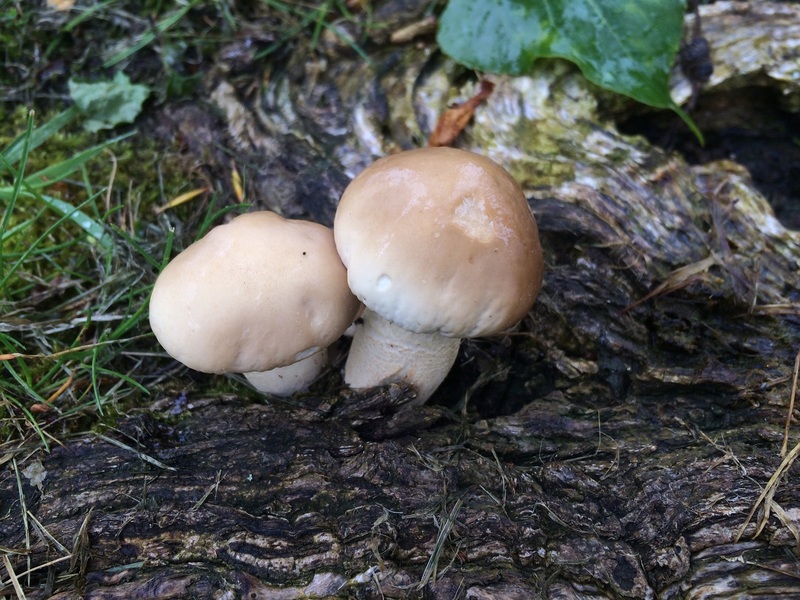 They start pale beige and turn brown with age. 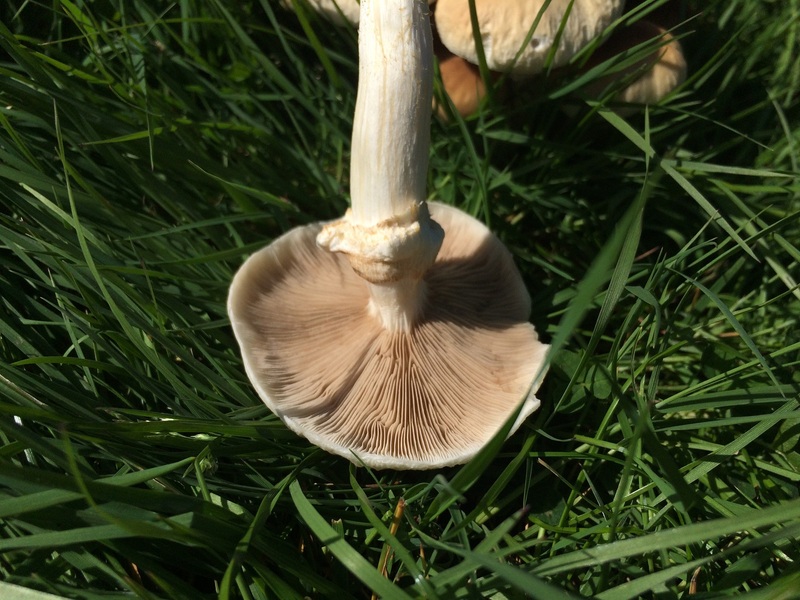 Long tough stem, often bended when growing in large clusters. With a persistent skirt in the upper part. 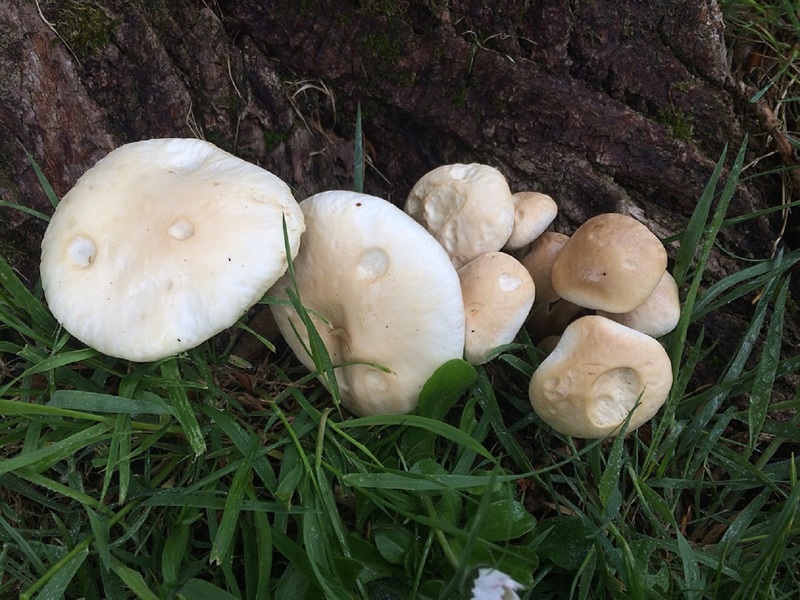 It is creamy white or slightly darker in older specimens, especially at the base. A pendent persistent skirt in the upper part of the stem. 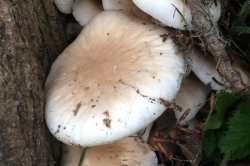 The flesh is white to cream coloured and doesn’t change. 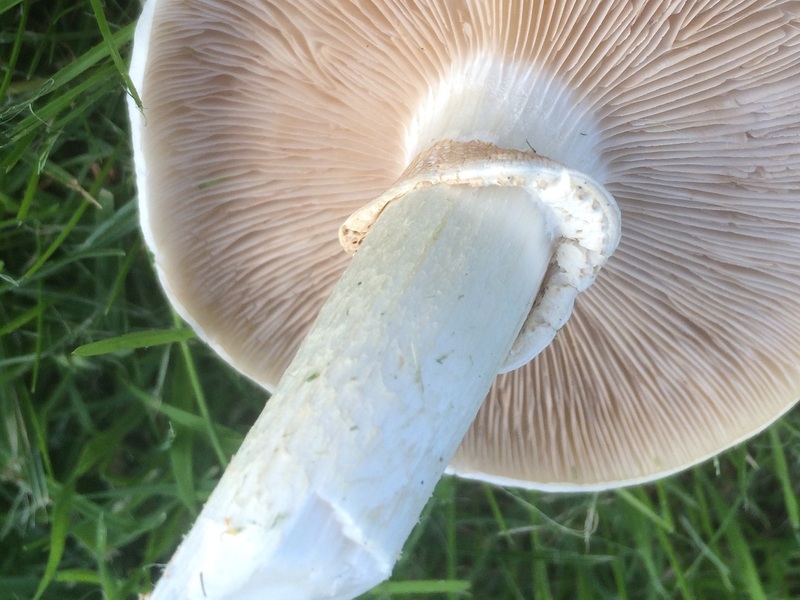 Firm in the cap, tough and fibrous in the stem. 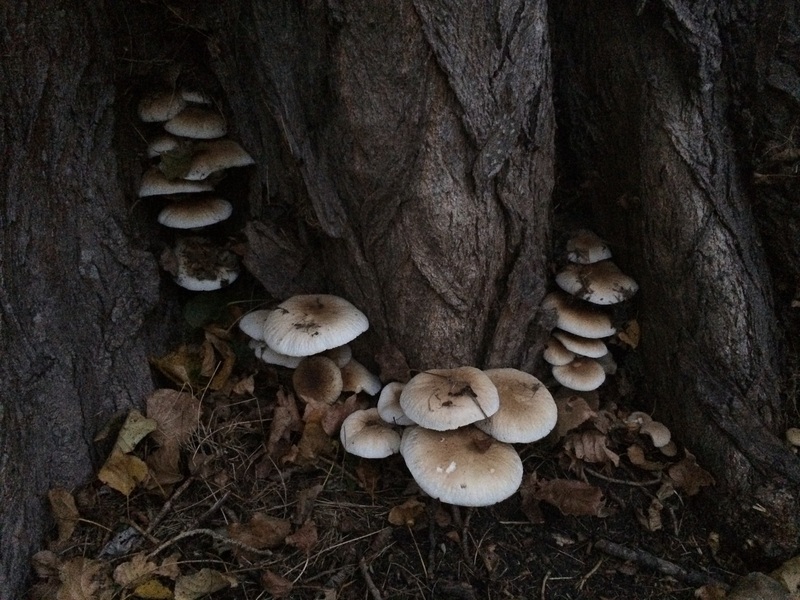 This fungus decomposes dead wood of trees with a preference for Poplar and Willow. It can appear occasionally with other broadleaf trees. 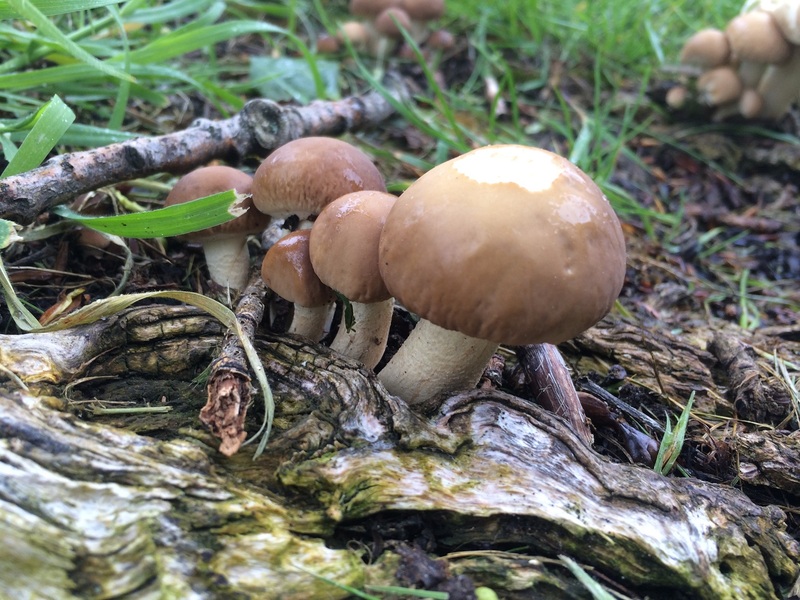 It grows in large groups from stumps, cracks on trees, and on decaying wood. 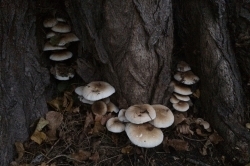 Very often it grows on the soil from dead roots of trees. 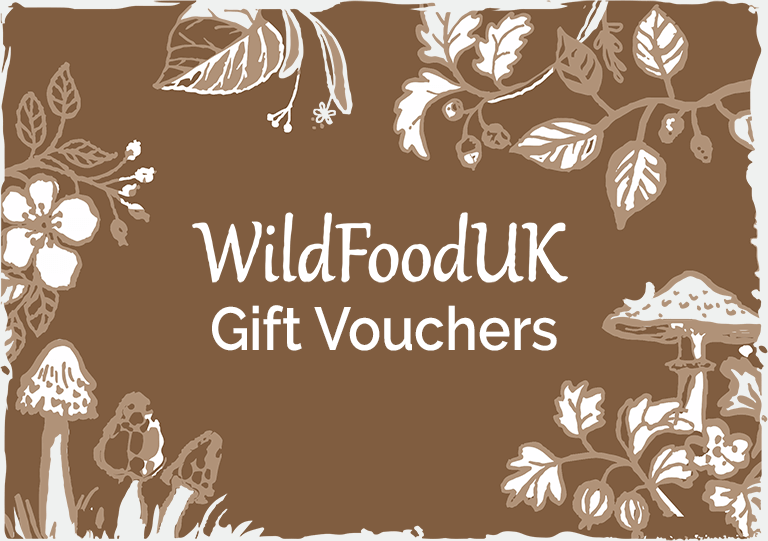 Its favourite host is the Black Poplar, Britain’s most endangered native tree, now hardly found in the wild. Ornamental cultivars of Black Poplar are often planted in gardens and parks. 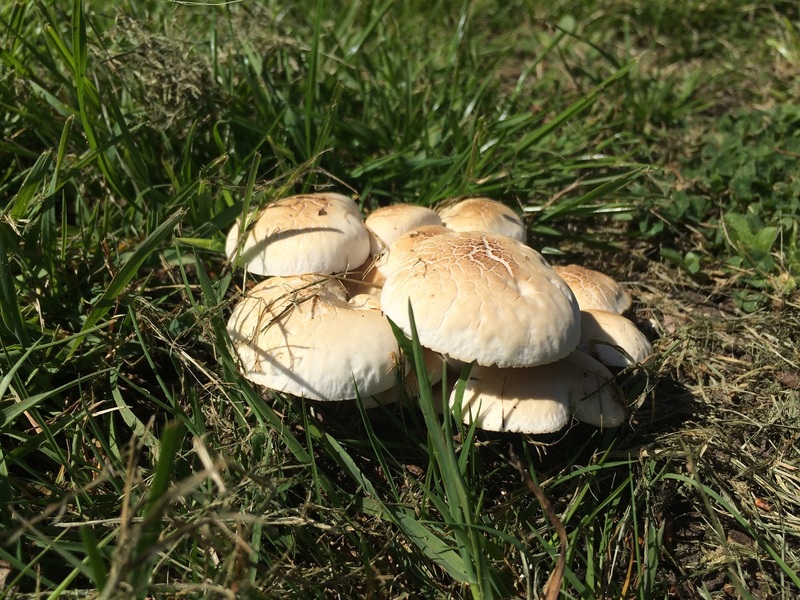 The Fieldcaps in the Agrocybe genus can look similar. They all grow on soil or from woodchip and wood debris, and are generally smaller at maturity. 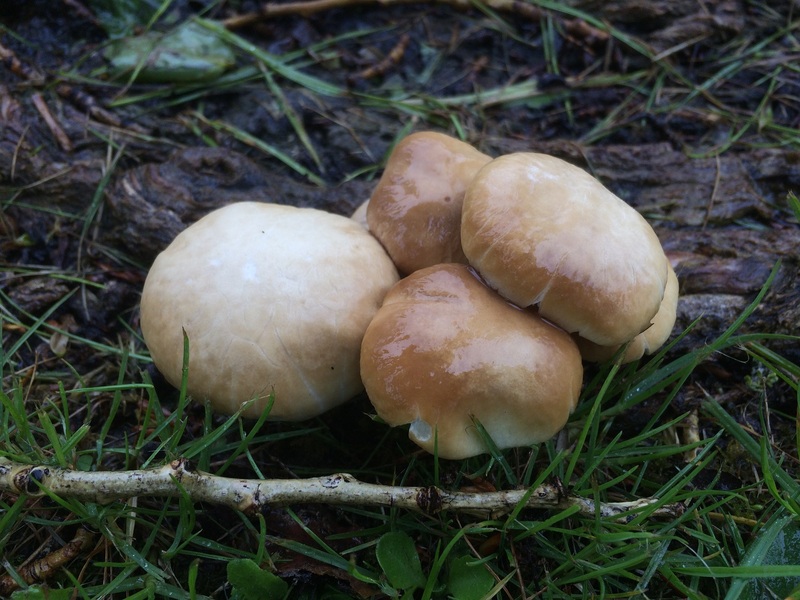 The Wrinkled Fieldcap (Agrocybe rivulosa) seen on the left is the closest. 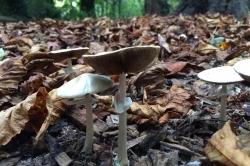 Smells similar and also has a wrinkled cap, but grows on woodchip, it’s smaller and has a thinner ring. 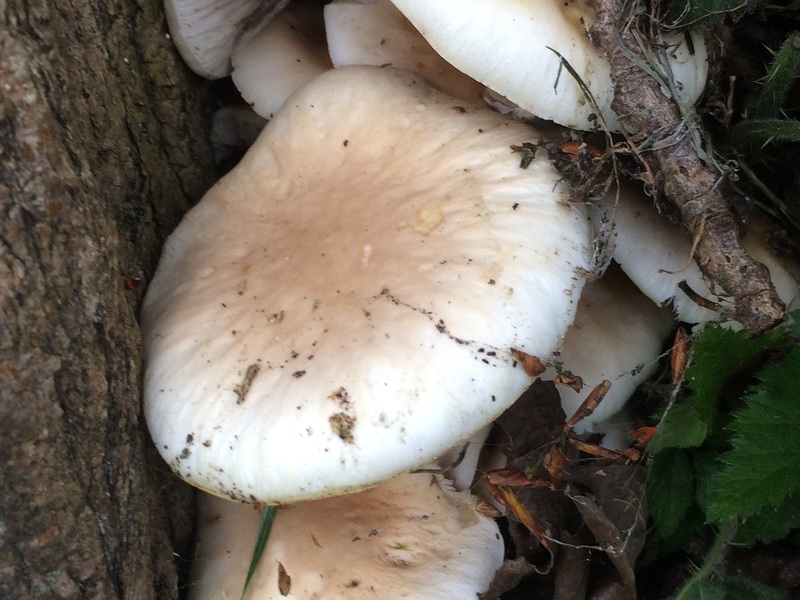 Sometimes the Poplar Mushroom has a small bended stem and looks similar to an Oyster Mushroom. 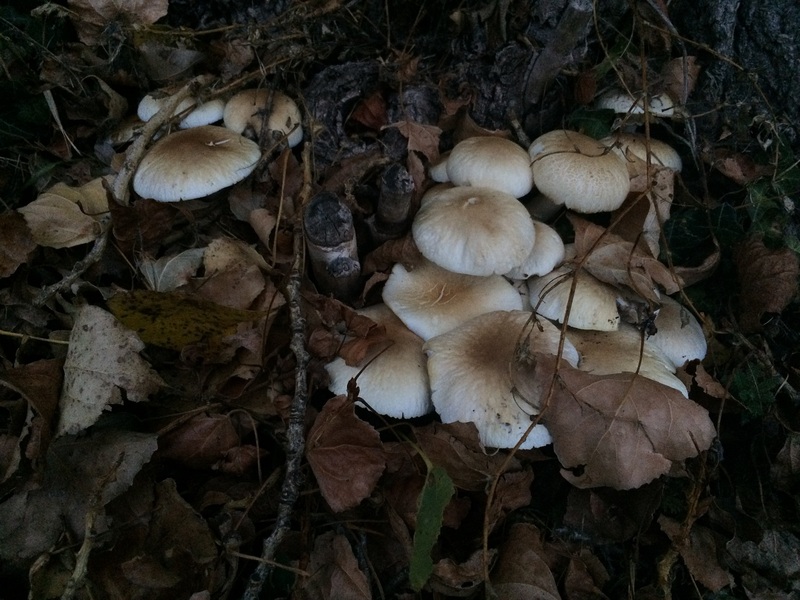 The spore colour is different and the gills in Oyster mushrooms turn creamy yellow, not brown. Nutty, strong, very pleasant. Very tasty once cooked. Common wherever you can find Poplar and Willow trees. Sometimes producing several flushes at different times of the year, in particular in gardens that are watered regularly. 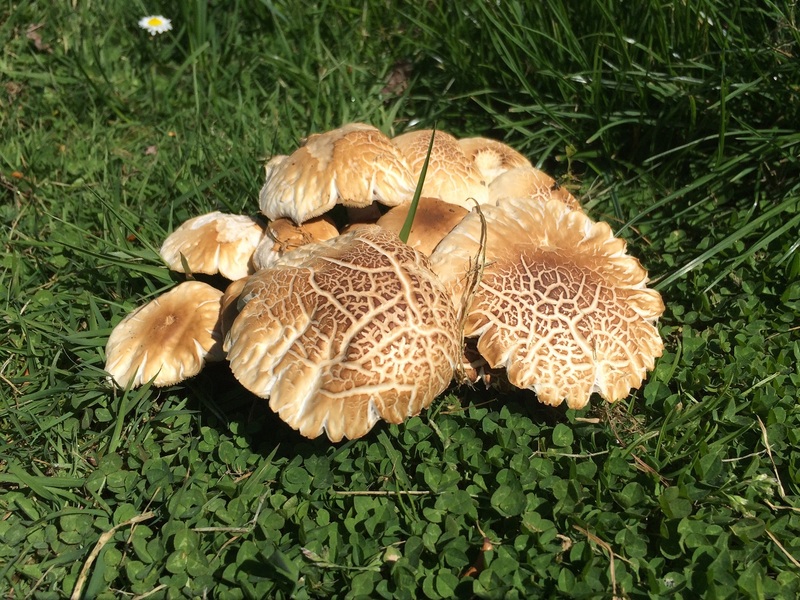 Although largely ignored by most foragers in the UK this is a very tasty mushroom. It’s highly prized in other European countries such as Italy, Spain, Portugal and France. It is also cultivated in Asia and very popular in Chinese cooking and Traditional Chinese Medicine. 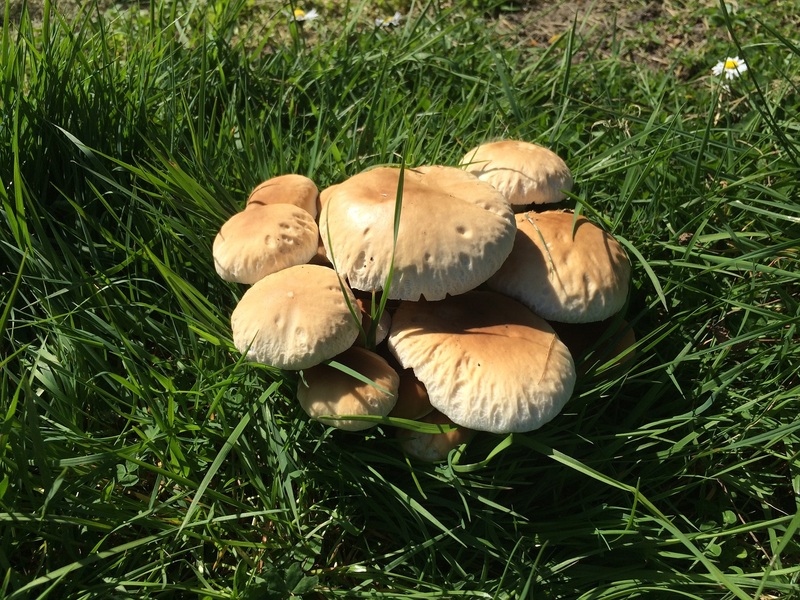 Pliny The Elder mentions it was cultivated in ancient Rome, being one of the first mushrooms to be cultivated.